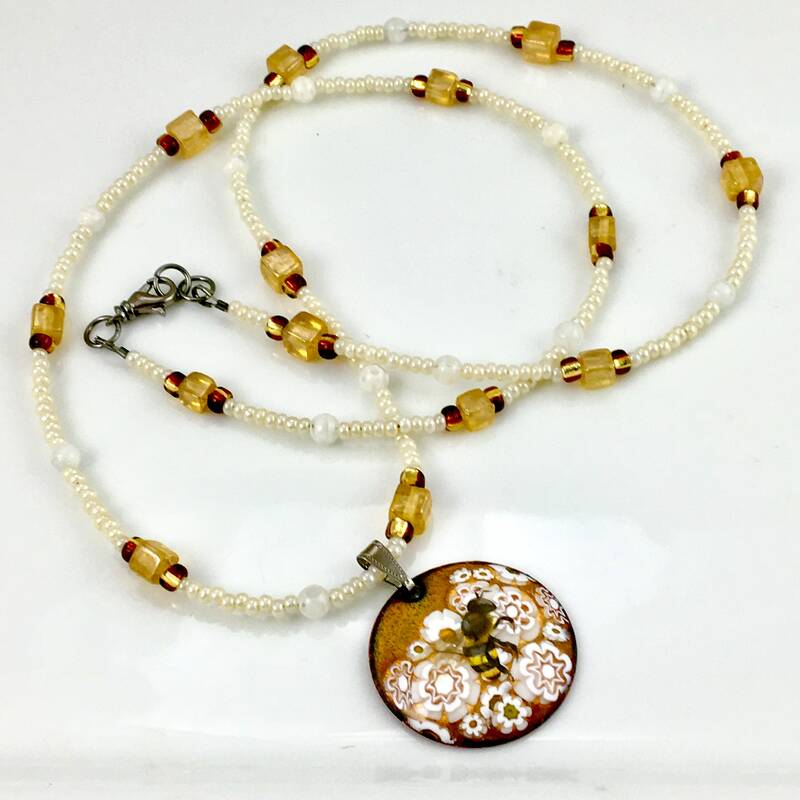 Hand enameled reversible 1 1/4” copper pendant-original one of a kind-on a long 29” chain of Czech glass beads & vintage glass beads that closes with a lobster clasp and ring. 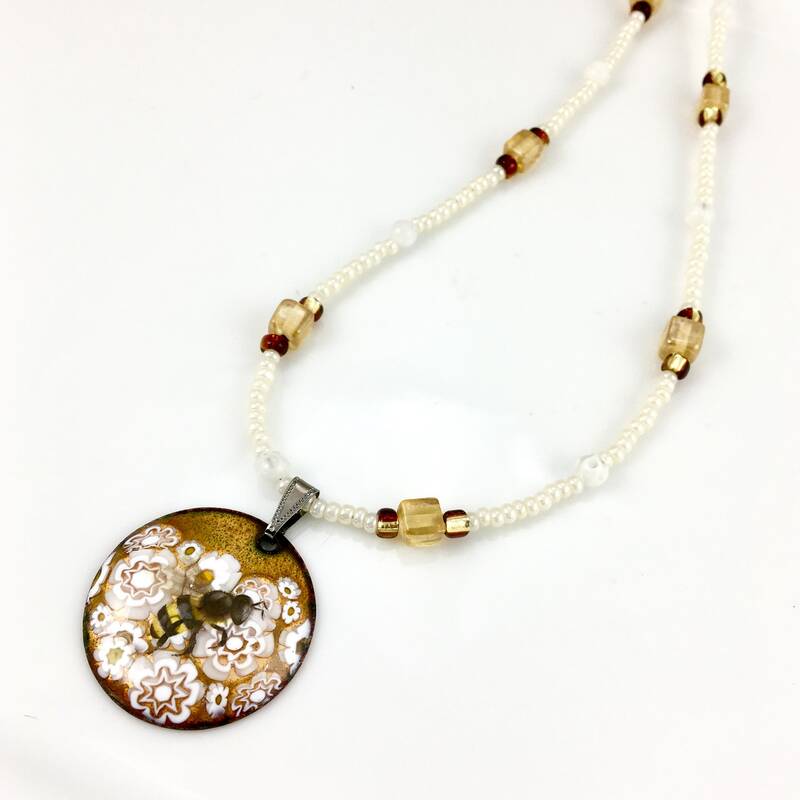 From my new “Bee Series,” this unique, original pendant includes a glass collage of white Millefiori with a honey bee. 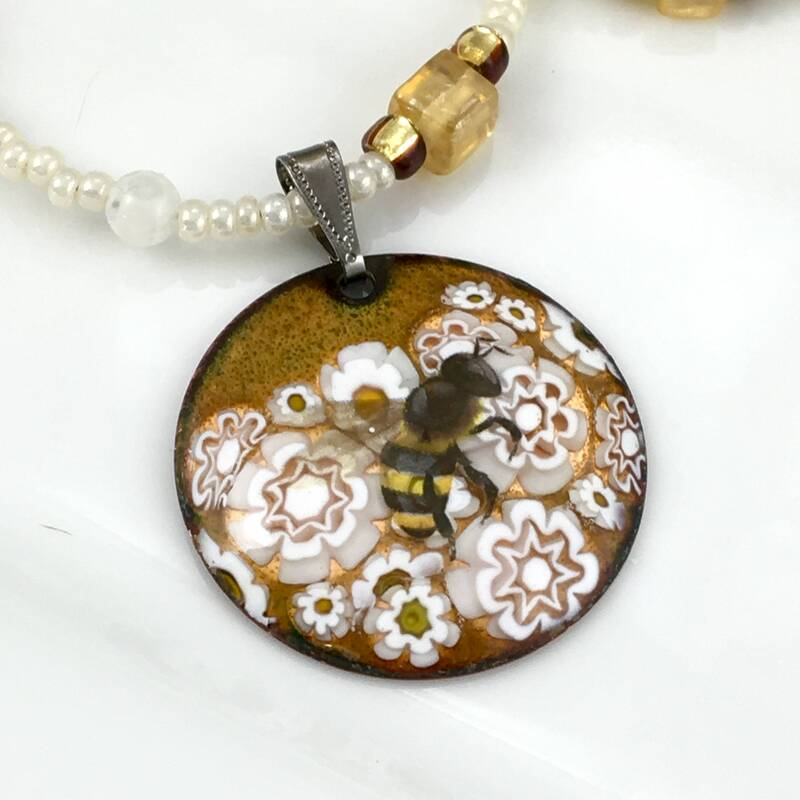 The transparent golden back of the pendant features a bee, too. 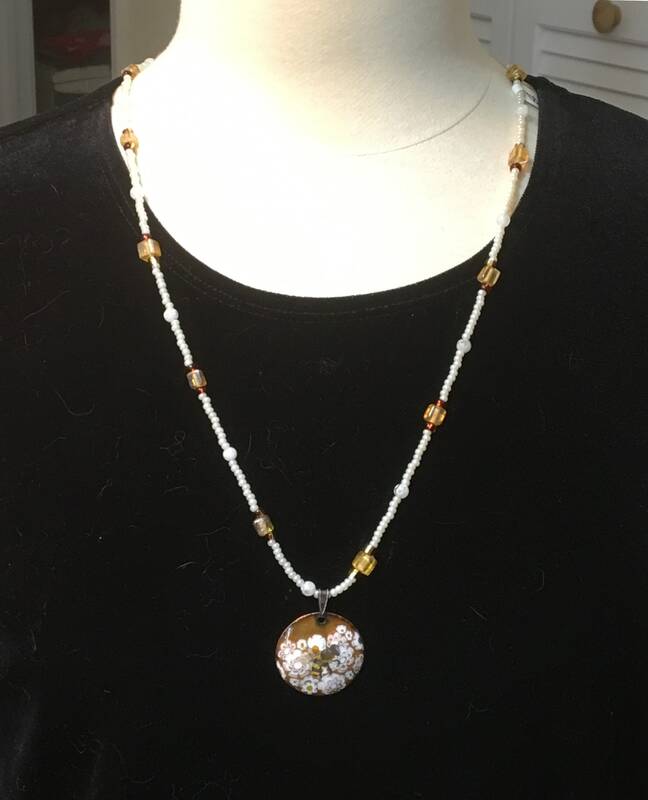 The long chain is fun to layer or to wear alone. Comes in my signature box, all ready to gift! 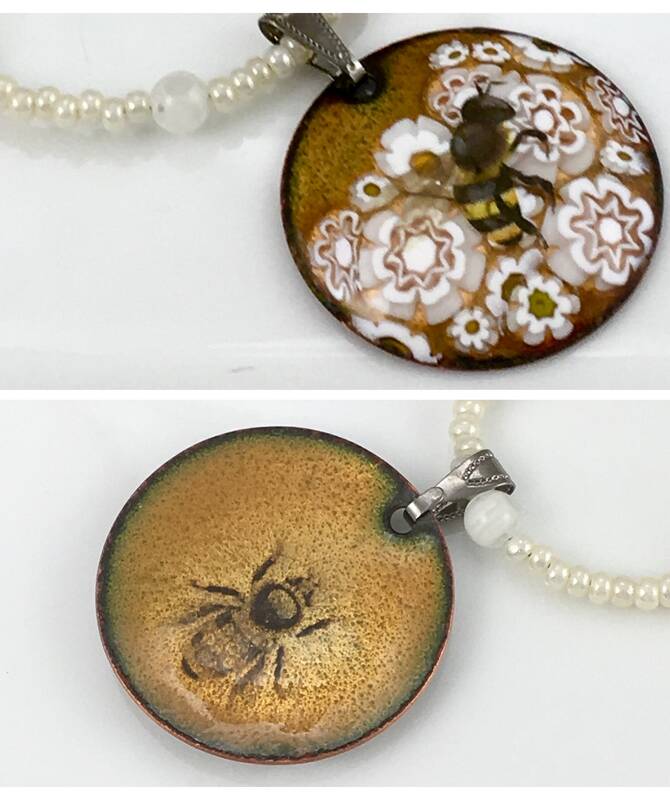 A beautiful celebration of nature and her perfect details. Perfect to begin conversations about conservation and ecology. 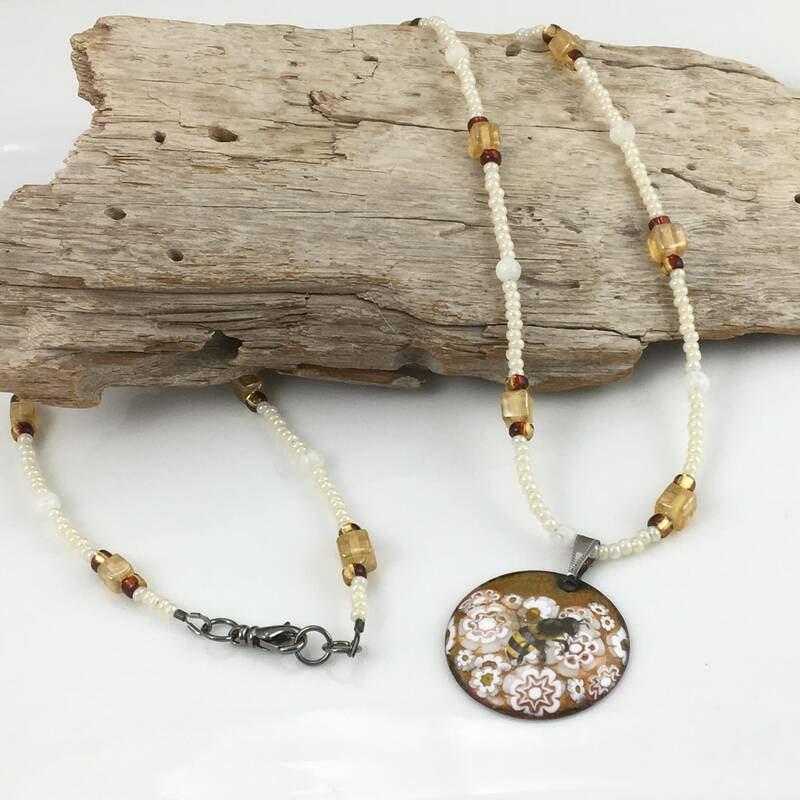 Powdered glass, crumbs & pieces are manipulated on copper shapes layer by layer. The copper shape is put into a kiln multiple times, and fired to between 1400F and 1450F, between each layer. 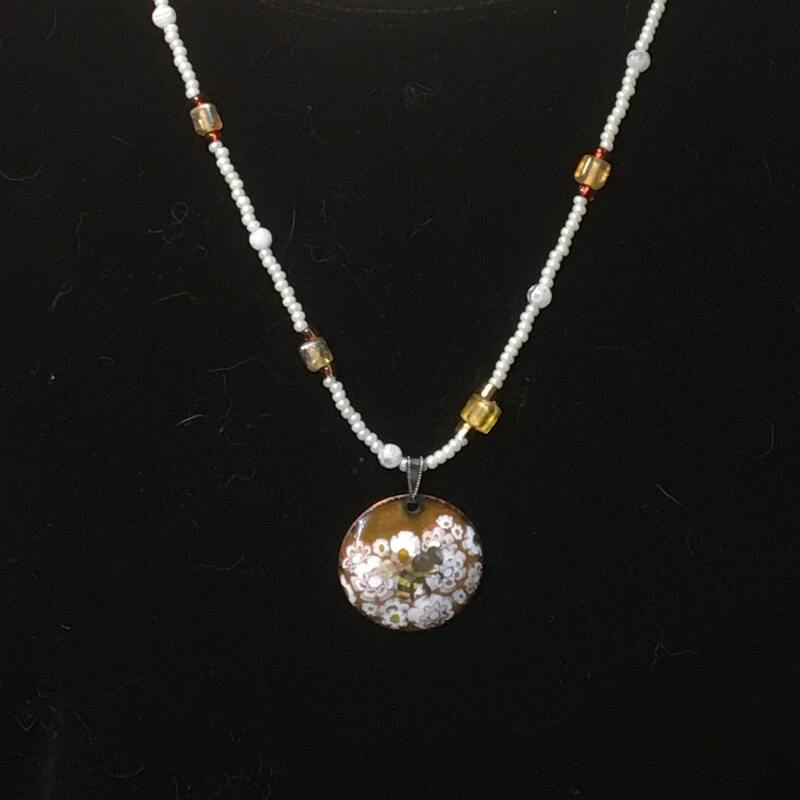 During each firing, the glass melts and bonds with the metal & glass below for a beautiful durable, permanent finish. 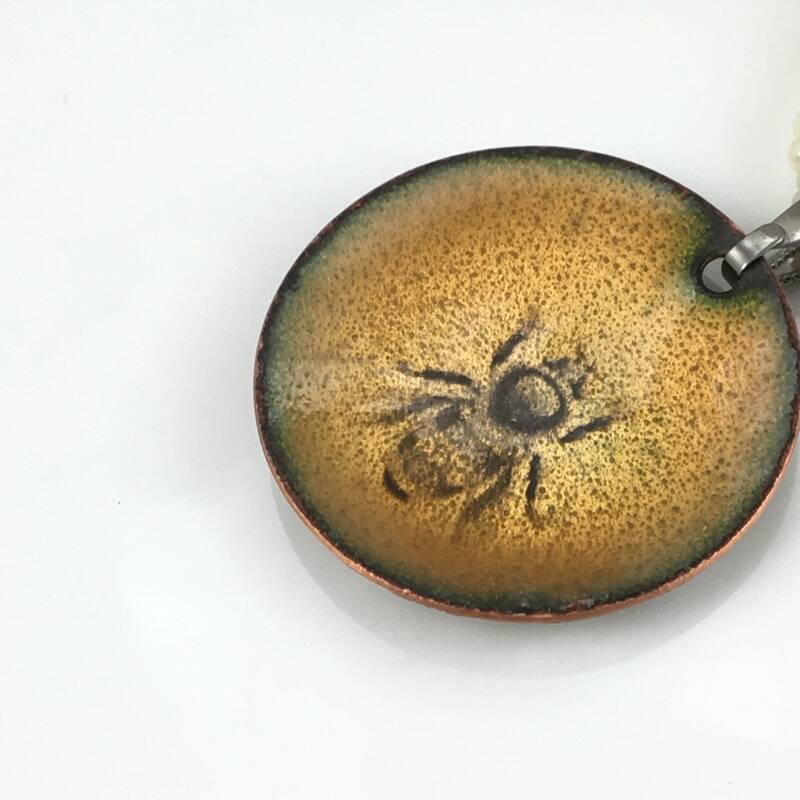 I call this “painting with glass crumbs” and have worked to refine my personal style in enamels since 2015.